Halloween is almost behind us, and as you’re taking down your spider webs and jack-o-lanterns, you must be thinking about the upcoming holiday season! We’ve been thinking about this too and do we have deals for you! Remember our Little Brushes Kids Camp last summer? It was such a hit, that we’re bringing Little Brushes back this winter break while your kids are home from school! The camp will be running on Wednesdays through Fridays from Wednesday, December 26 to Friday, January 4. (On the other Mondays and Tuesdays, we’ll all be celebrating Christmas and the new year!) Each Winter Workshop day will run from 8am to 12pm. We will not have a lunchtime this winter, but kids are welcome to bring their own snacks or purchase a $1 snack during the class. AND WE HAVE DEALS FOR WINTER WORKSHOP! 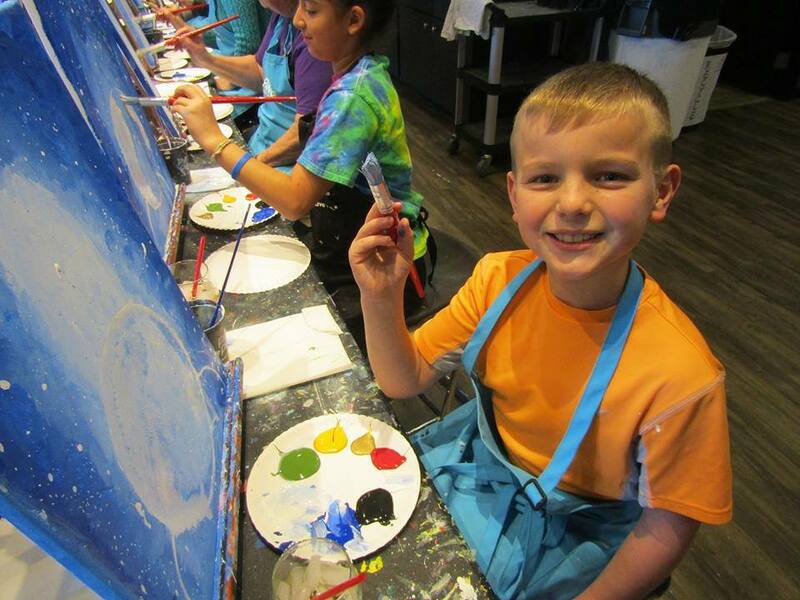 If you can’t make any of the Winter Workshop days, or weekdays aren’t your thing; we still will have Family Fun classes during select weekends for $30/seat. Are you thinking about Black Friday and Cyber Weekend? We have our own Cyber Weekend deals too! From Black Friday through Cyber Monday (November 23 – November 26), you will receive a $10 credit that you can use towards anything in the studio with every $50+ gift certificate that you buy from us! And If you’re a Pinot’s Perks member, during the week before Black Friday (November 19 – November 22), you will receive a $15 credit for every $50+ gift certificate that you buy from us! We hope to see you and your family this winter for the holidays!